Welcome to the Fitness Center! Our philosophy is guided by Health and Wellness Promotion, in order to improve the campus community with regards to understanding each other, attitudes, and conduct. The Fitness Center promises to promote fullness of life and the understanding of all members with in the facility. All members can benefit from the different programs offered including current students (part/full time), faculty, and staff (18 or over). We offer a full line of cardio equipment as well as Cybex weight training equipment. We have a wide variety of free-weights, cable crossover machine and a Parabody Smith machine. Locker room with showers and temporary lockers are available for use during workouts. UConn Stamford is excited to announce that all current UConn students, faculty and staff can access the Fitness Center free of charge. This said, it is important for all current students, faculty and staff to have a UConn ID. Individuals will not be allowed access to the Fitness Center if we are unable to verify one’s status. Please do your part to obtain your UConn ID. Additionally, current students, faculty and staff who use the space will need to complete a Liability Waiver & Informed Consent Form. Our Life Fitness Cardio equipment includes Treadmills, Stairmasters, Recumbent Bikes, Cross-Trainers, Arc Trainer, and Upright Bikes. Our circuit equipment is manufactured by Cybex and includes the Leg Press, Leg Extension, Leg Curl, Lat Pull-Down, Dual-Axis row, Cybex Lat Pull-Down, Dual-Axis Chest Press, Fly Machine, Overhead Press, Arm Curl, Arm Extension, Abdominal Crunch, Torso Rotation, Maxicam Cable Cross, and Seated Calf Raise. Our stretch area has many mats, 2 Abdominal Ladder Boards, a Roman Chair, Back Hyper-extension, ankle weights, jump ropes, physio balls for stretching and strengthening. Our Free-weight room has a Maxicam Flat Bench Press, Incline Bench Press, 2 adjustable incline/flat benches, Smith Machine, and Dumbbells ranging from 3lbs. to 100lbs. For further information, contact the Fitness Center at 251-9563. 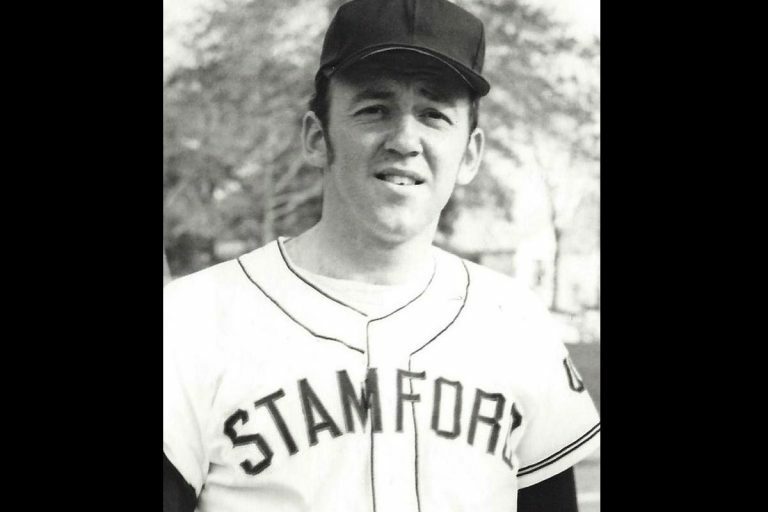 UConn Stamford had a long tradition of sports programs that started in 1966-67 with basketball and baseball. 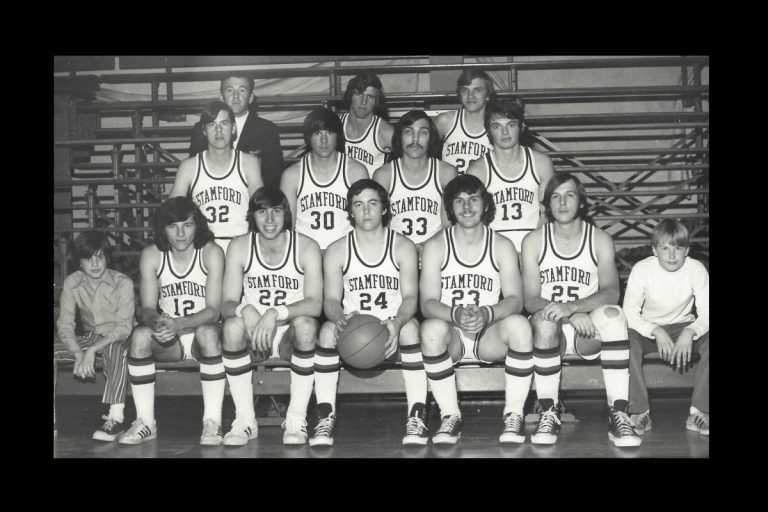 The teams were founded by David Mazza, who was the only athletic director the school had for the nearly 30 years they had competitive athletics. The Huskies competed in the Connecticut Small College Conference, along with the other UConn regional campuses in Hartford, Waterbury, and Avery Point. 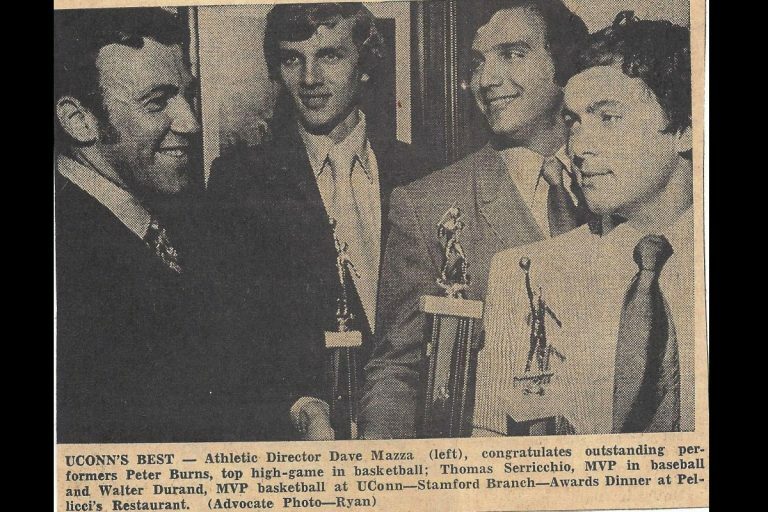 The basketball program eventually grew to Division III status and UConn hosted an annual holiday hoop tournament. 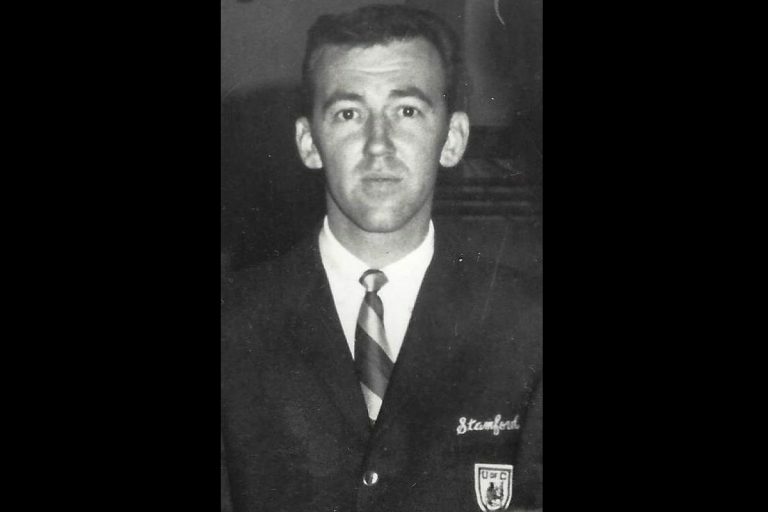 Mazza coached both teams for many years as well as headed tennis and golf programs he started in later years. 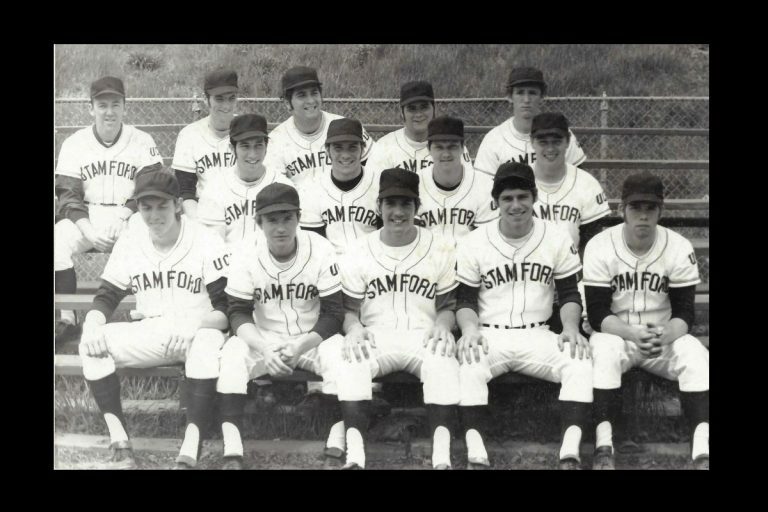 The school also fielded a women’s softball team for several seasons. 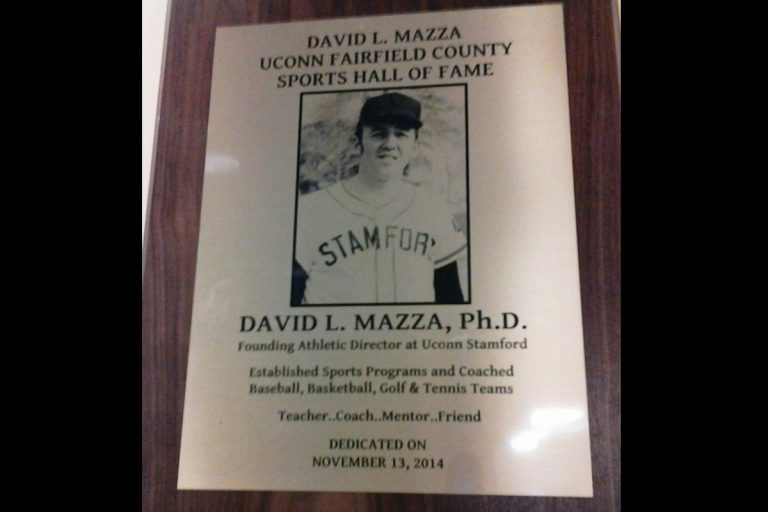 The UConn Wing of the Fairfield County Sports Hall of Fame, which is housed at the campus, was dedicated to Mazza in November 2014, following his passing earlier that year.